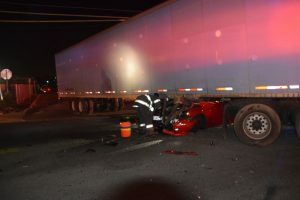 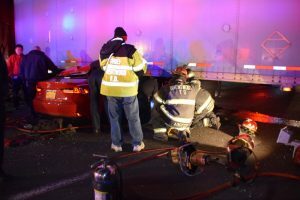 On Friday, January 8th at 04:28 hours activation was alerted for a Heavy Rescue with entrapement at Fifth Avenue and Sweenydale. 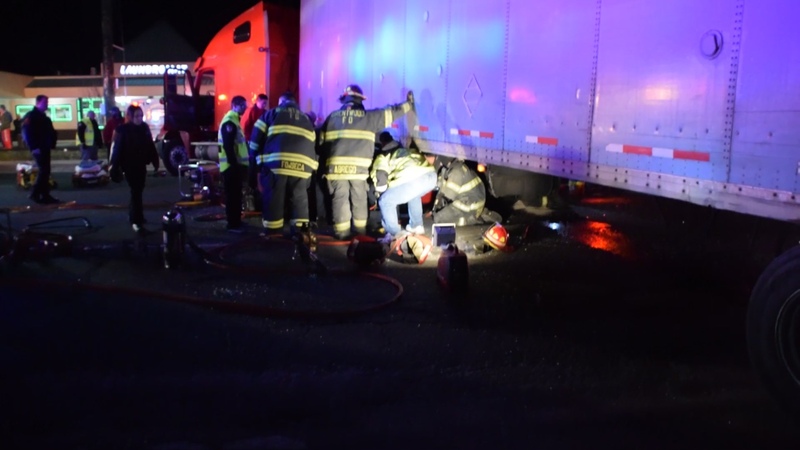 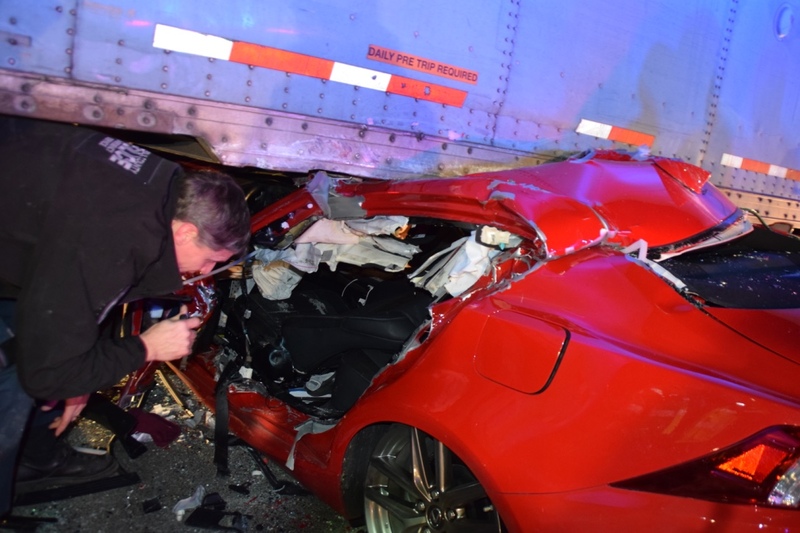 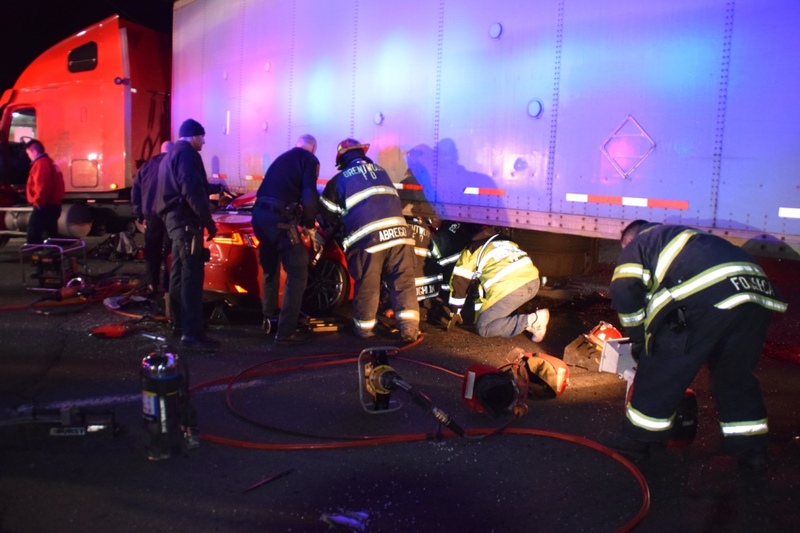 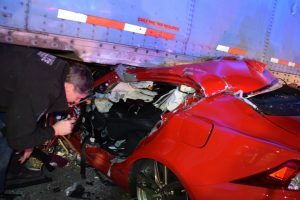 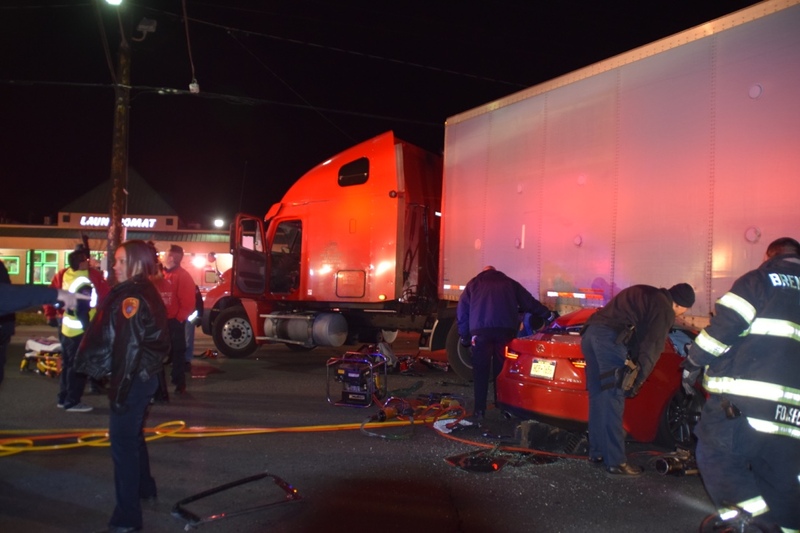 3-2-31 was first on scene and alerted incoming units of a car trapped underneath a tractor trailer with two victims inside. 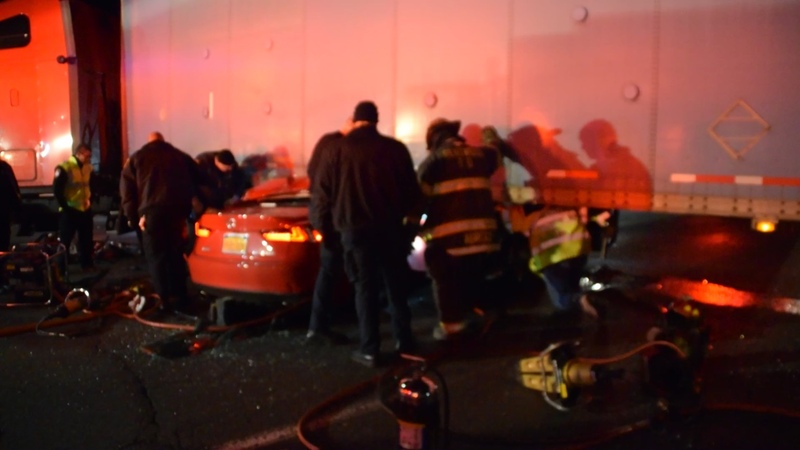 The crew from 3-2-18 along with Suffolk ES Units worked hand in hand to extricate the victims. 3-2-5 also was on scene.